When it comes to emails, one of the common challenges comes down to filtering out important emails from those that can be dealt with later on and the ones that are unnecessary altogether. Continually going through a multitude of emails means less time for other important tasks, so it is essential to increase email productivity. There is a number of ways to do that, and each to their own, but some general rules are certain to make things easier for pretty much everybody. As is customary with emails, they unrelentingly come in at all times, day and night. Therefore, turning off notifications (applies to both the computer and the cellular phone) will spare you constant distractions. In this way, you can check your inbox when it is convenient, rather than around the clock (think in terms of lunch breaks and important meetings). If you are expecting an important email, set up an autoresponder and address the email at a convenient moment later in the day. Trivia: Research shows that a single email interruption results in the present task being delayed by 23 minutes and 15 seconds, on average. This is due to two factors: the actual time spent on checking and replying to the email and loss of concentration. The great majority of email clients allow for creating safe address lists. The same goes for blocking addresses. These two options may seem like common sense, but surprisingly many people tend to either overlook or forget about their existence. Get all excess emails safely to your spam folder without disrupting your schedule — ever. Tip: Creating separate folders will help you always keep track of all messages. 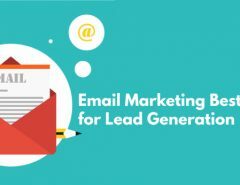 There are numerous ways to do this, with some examples including emails that require action, emails that don’t, and urgent emails. 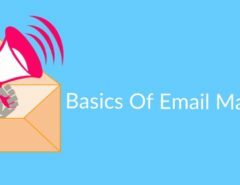 In addition, setting up email rules will help you organize them. A simple piece of advice, this one, but, again, many people tend to disregard it. Choose when to check new emails during the day (i.e., once in the morning and once in the evening). The final check of the day should be the time when you bring your inbox count down to zero, which translates into starting afresh the next day. Tip: Limit the time spent attending to emails, e.g. to one or maximum two hours. Limiting the length of responses is a certain way to boost your daily time management skills. When replying to emails that require action, think in terms of what message you want the recipient to get. State you points clearly and concisely, cutting the unnecessary pleasantries. To make this practice an established routine, set a limit (i.e., five sentences) and go from there. Tip 1: Create multiple email signatures to further step up this step. Some examples include signatures for clients, friends and family. Tip 2: When dealing with long threads, make certain to plaster key information to the top. This will save you and the recipient tons of time, as a rule. Optimizing subject lines comes in handy when browsing through email history. Avoid blank and random subject lines such as “Greetings…” at all costs. Just like setting up a sentence limit to your replies, aim for making subject lines clear and concise. They should include description of the topic. Tip: When forwarding messages, redo the subject line. Remember that the recipient has same time management issues when it comes to handling incoming emails. Setting up automatic responses will take care of important emails coming in outside of your checking schedule. Common examples include short info about your availability, e.g., “I am currently out of office. I will respond to your email after…”. In a similar fashion, you may opt to create templates for emails inquiring about the same topic. I.e., if your business deals with sales, inquiries about products/services can be generic. Tip: Avoid sending unnecessary emails by all means. This includes discussions on get-togethers, since those, as a rule, involve many people and result in long threads. If unavoidable, create templates for all team members, with a simple keyword to be used (e.g., confirmed, denied, etc). There are multiple approaches to handling urgent emails and numerous programs that will help you get started. 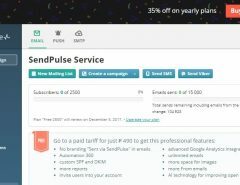 Some emails require immediate action regardless of your schedule, so telling the software all about target keywords is the key to never missing an important email. If those fall under the category that can be dealt away with the help of auto-response and templates, then even better!